Jack Selati’s Summer of 2018 continues to unfold as planned. 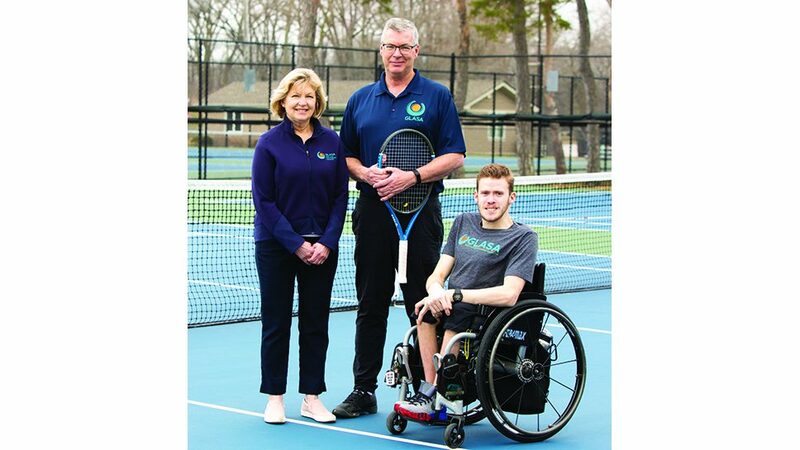 The Lake Forest Academy senior-to-be and Winnetka resident still plays sanctioned tennis tournaments, just not as many as he did in summers past, seemingly every weekend. He drills with his father, Rob, competes with his father, a former tennis player at Yale. He finds time to watch the greats — Wimbledon competitors, on TV — and the up-and-comers, like the pros who battled last month at the Winnetka Challenger at the A.C. Nielsen Tennis Center. Selati has time for playing video games, too. And enjoying the outdoors. And hanging out with his friends. A teen living the good life of, well, a teen. If there’s such a thing as a healthy summer blueprint for a talented athlete who has designs on playing college tennis, Selati created it following his junior year. A tennisrecruting.net three-star recruit (out of five stars, plus the “Blue Chip” category) ranked 10th in Illinois and 28th in the Great Lakes region among Class of 2019 netters, Selati has been a Caxys varsity player at LFA since his freshman year. He has played mostly first doubles or first singles in Caxys togs, sometimes both positions in the same season. 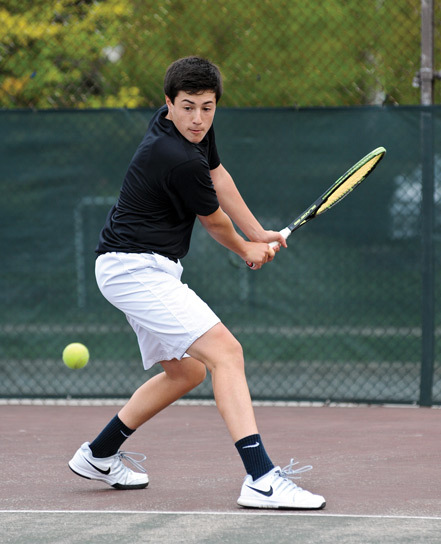 “Jack has a great all-around game, with outstanding court awareness,” says former LFA boys tennis coach Mike Friedman, who guided the varsity program during Selati’s freshman and sophomore seasons. “Moves well, anticipates well. He can serve and volley, and he can punish opponents from the baseline, making them run all over the court with his groundstrokes, with his well-angled shots. 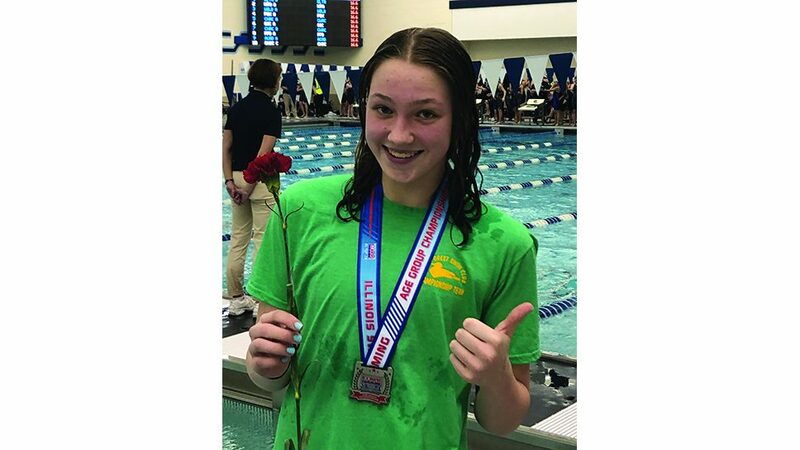 “But it’s his attitude as a teammate, how team-oriented he is, that’s probably the best thing about him,” adds Friedman, a 1984 Highland Park High School graduate who coached Deerfield High School’s 2005 boys quad to the state championship. Among the highlights of Selati’s sophomore season was teaming up with Lake Forest resident and then-freshman Will Kasten (a former Winnetkan) to win a pair of No. 1 doubles matches at the Jacobs Invitational in Algonquin. The Caxys went on to capture the team title before finishing the 2017 season with an 18-6 record, one year after going 19-4. Selati and recent LFA graduate Charlie Kilborn combined for other big wins on the top doubles court. Selati downed Lake Forest High School’s No. 1 singles player, Will Zordani, 6-2, 6-2 this past spring to avenge a 6-3, 6-0 loss the previous spring. Zordani, also a senior-to-be and a tennisrecruiting. net three-star, split four matches at the Class 2A state tennis tournament in May. But the most significant win of Selati’s career, to date, might have been the one he notched a year or two ago, against a lifelong foe, in either a practice match or a baseline game, in front of … no one. Jack Selati defeated Dad Selati one day. The proudest player on the court that day? Rob Selati, rackets down. Rob, a former San Diegan, has ties to South Africa. Father and son must have pulled hard for South African Kevin Anderson, who faced Serbian Novak Djokovic in the Wimbledon men’s singles final last month. Anderson, alas, lost in straight sets. “My dad and I have a healthy rivalry, no bad blood,” says Jack, whose sister, Jenna, a budding architect, graduated from Yale this past spring, and whose brother, Sam, a lacrosse player and economics major, is a junior-to-be at the Ivy League school in New Haven, Connecticut. “A very good student-athlete,” Friedman says of Jack Selati. “Competitive and serious as an athlete, but I also remember how good he was at making his teammates and coaches laugh and feel relaxed. Chicagoan Jeronie Barnes succeeded Friedman at LFA before the start of the 2018 season. Barnes is the head pro of tennis and paddle at Tennaqua Swim and Racquet Club in Deerfield, according to platformtennisonline.org. The young man with the sound Summer of 2018 plan is already thinking about the Spring of 2019.